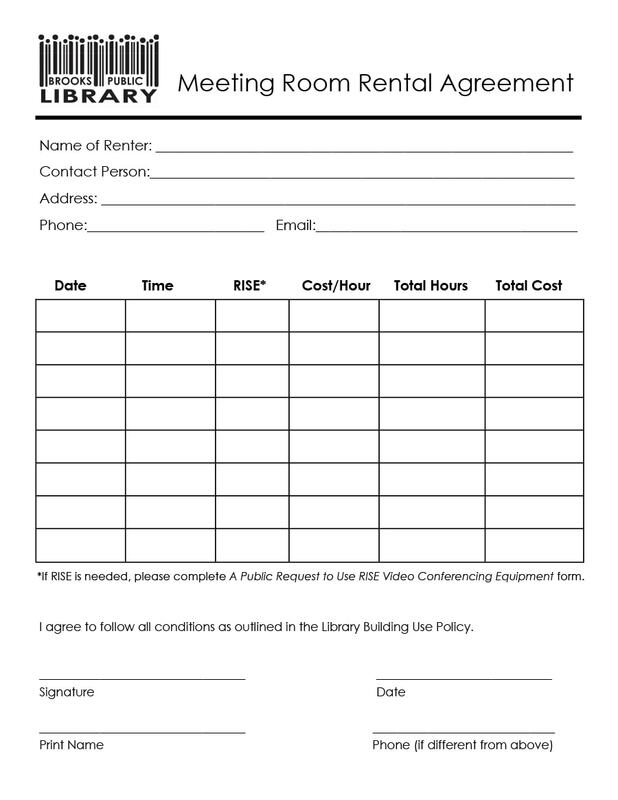 Thinking about renting out a room in your home? 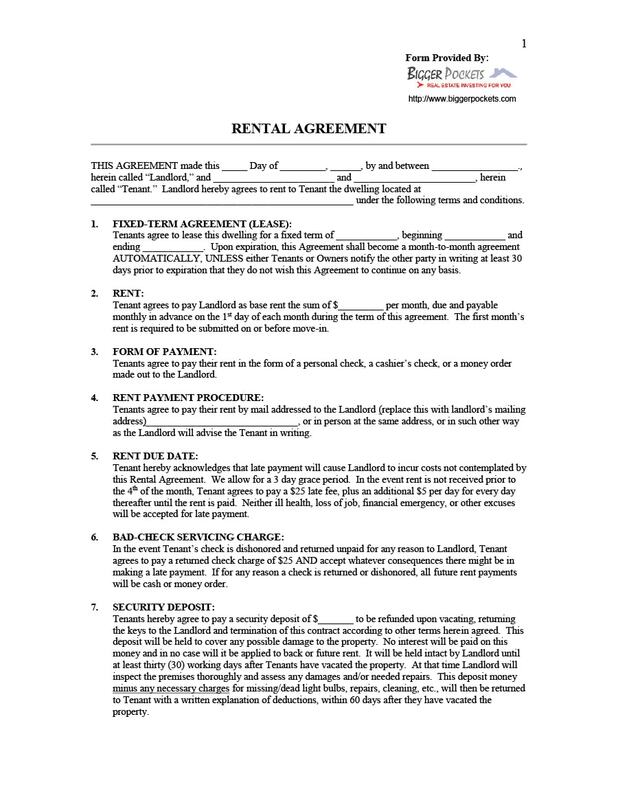 Before you even think of making that decision, it would be helpful for you to learn everything you can about room rental agreements and room rental agreement templates. 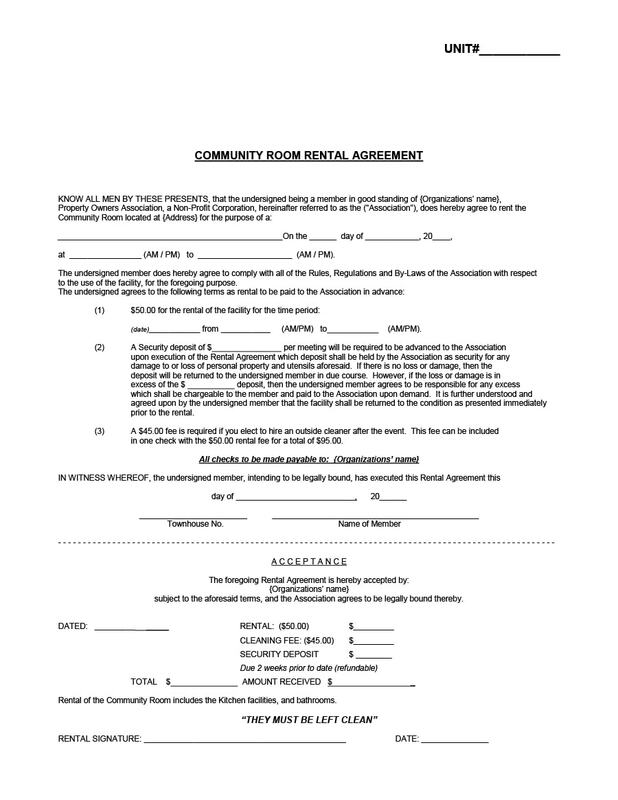 Right now, you might be thinking – what exactly is a room rental agreement? Do I really need one? 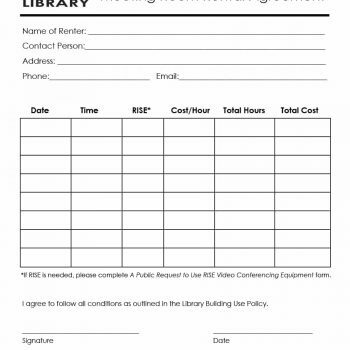 How do I create one? 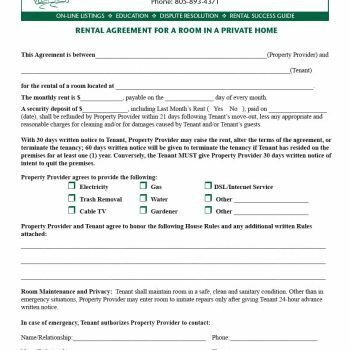 Simply put, a room rental agreement is a legally binding contract between the owner of the room and the person who will rent it. 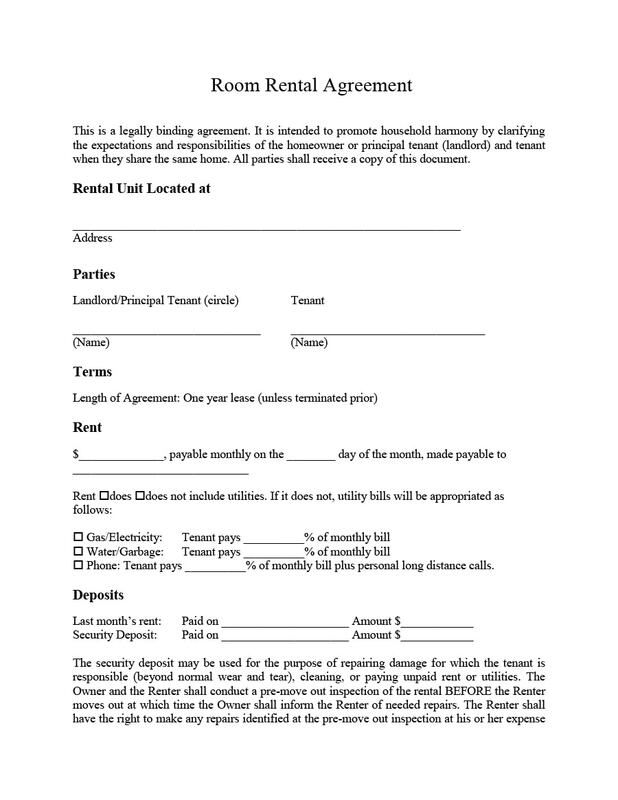 A simple room rental agreement can be made by the principal tenant to ensure a good relationship between himself and the person who will be renting. 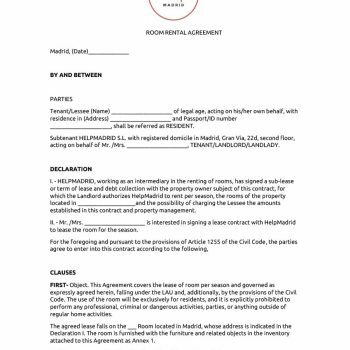 The main purpose of this agreement is to encourage synchronization of what to expect as well as the responsibilities of both parties by making things clear through a written contract. 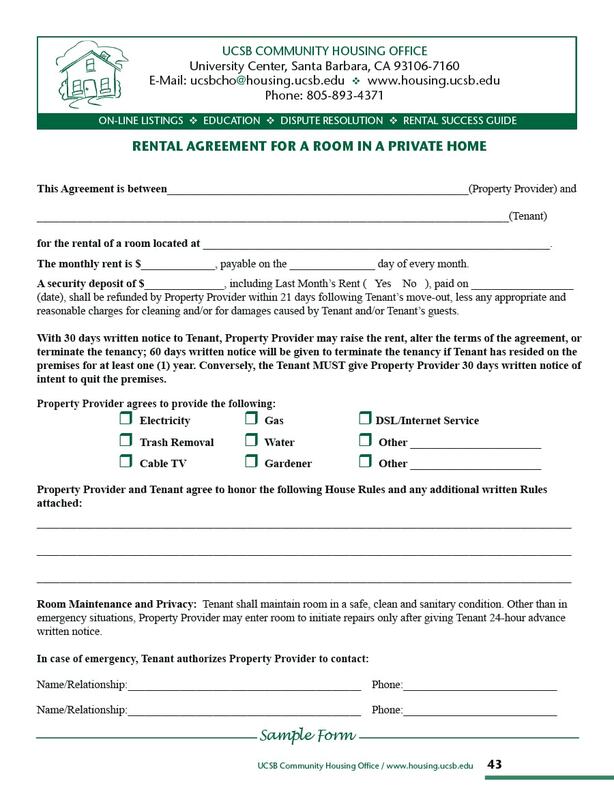 Another reason for making a room rental agreement is for you to feel secure enough to rent out one of the rooms in your home. There may be times when you would be renting out rooms in your home to people who are not members of the same family and may not know each other. 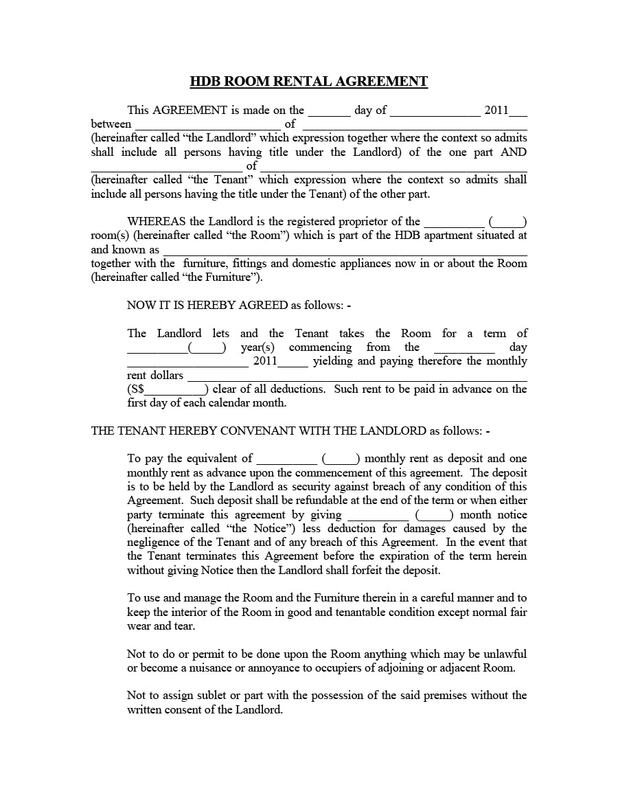 2 Why are Room Rental Agreements Important? 3 Who Will Most Likely Be Renting Your Room? 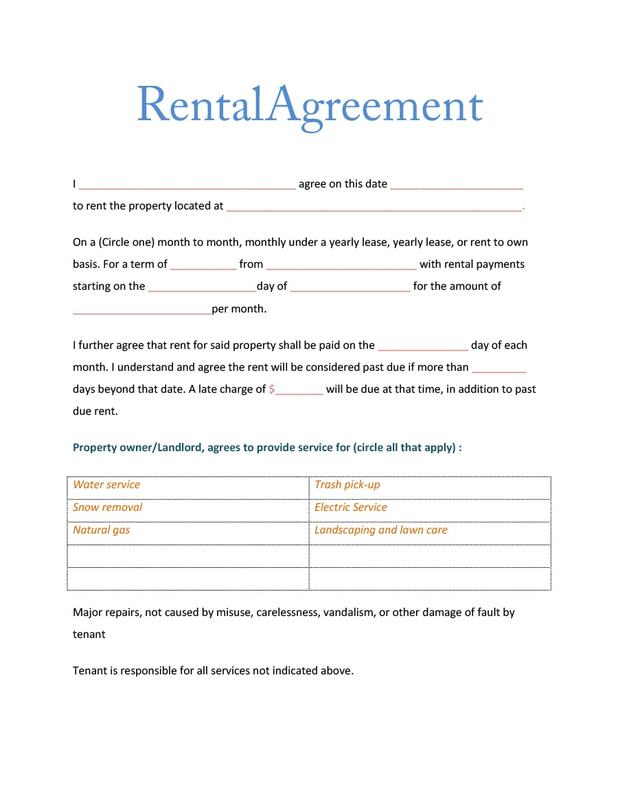 Knowing that you have even a simple room rental agreement for each member or each group of tenants you’re renting to would give you confidence that you are clear with the rules and duties of yourself and all your tenants. Finally, having an agreement would make it simpler for you to remove tenants who do not pay the rent on time or who break any of the rules. 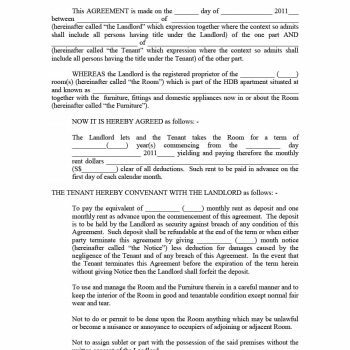 Why are Room Rental Agreements Important? 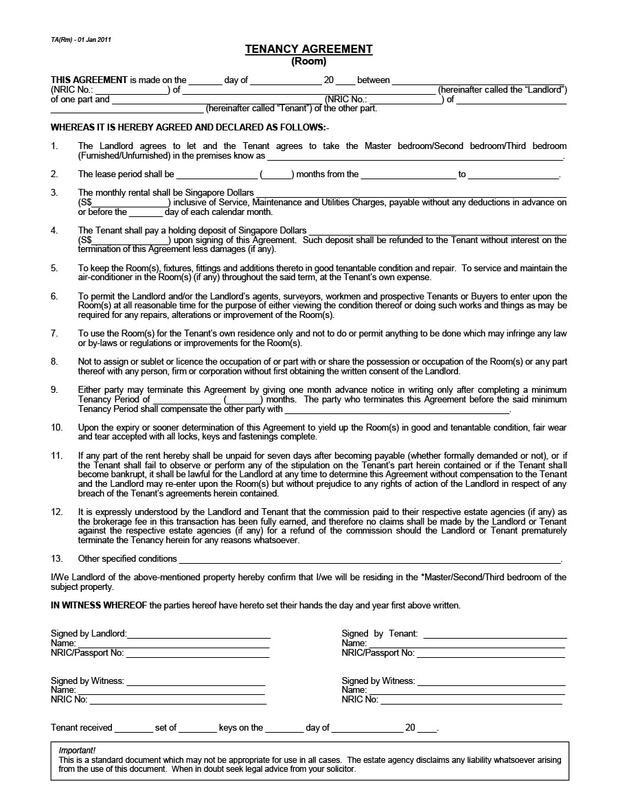 To Clarify the Legal Rights of the Tenant. Often tenants are unaware of their rights as renters, which gives agents, landlords, and homeowners the advantage. The Lands Act contains all the rights of both renters and homeowners, but realistically, who really finds time to read through these laws? 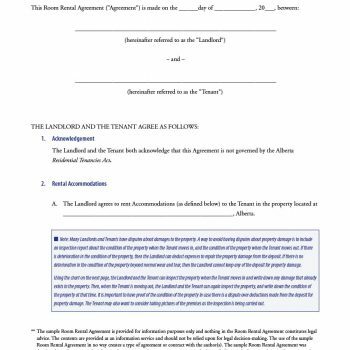 Having a room rental agreement would make things clearer for tenants, giving them an idea of the procedures landlords should employ when the tenant is unable to pay rent. 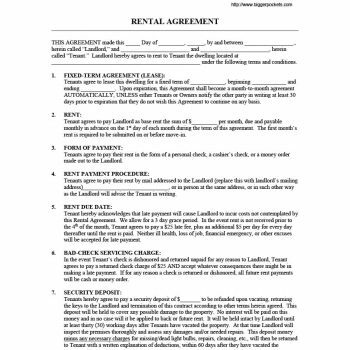 The room rental agreement should be made at the beginning of the lease period, wherein the landlord and the tenant should come to terms with all the legalities, obligations and expectations involved in the whole process. 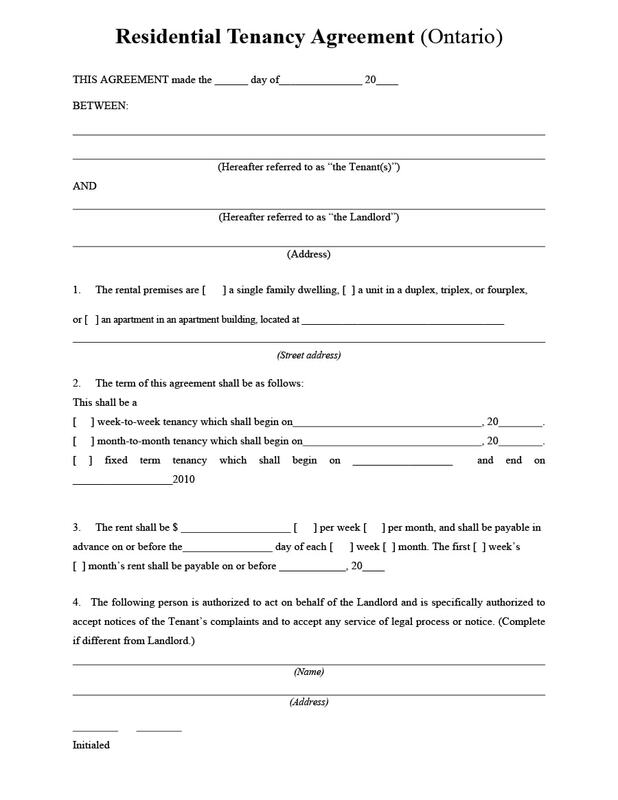 To Establish an Official Agreement Between Tenant and Landlord. 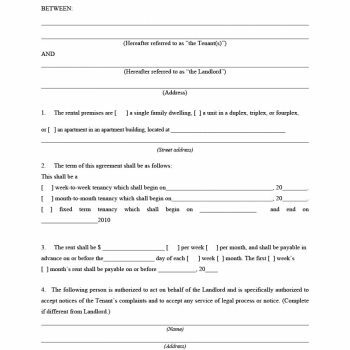 Before a tenancy relationship should begin, both tenant and homeowner should sign a room rental agreement in order to be clear of responsibilities, expectations and every little concern and issue involved. 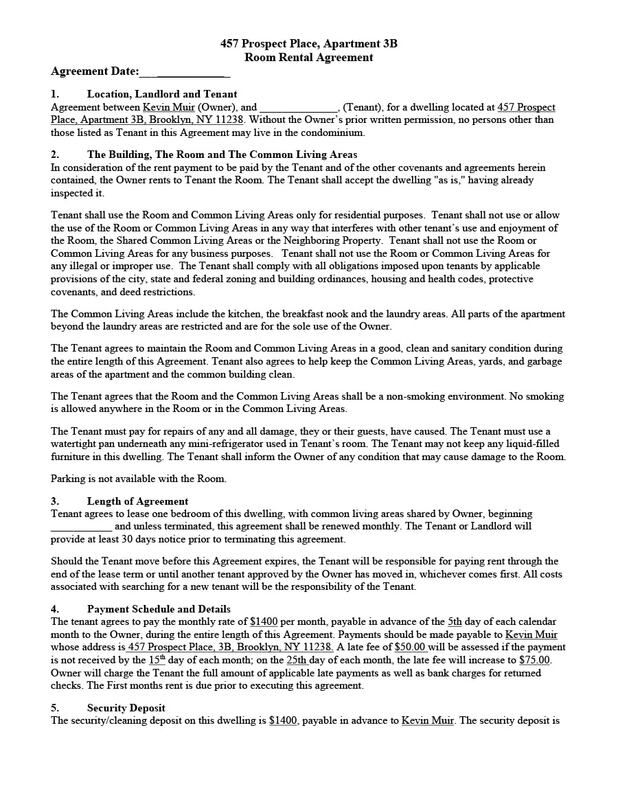 Sadly though, tenants don’t even bother asking for such an agreement before renting out a room. It is important to know the tenancy will be, the fee and the deposit which needs to be made so there won’t be any unpleasant surprises in the whole course of the tenancy. To Explain the Procedure Involving Repairs and Maintenance. 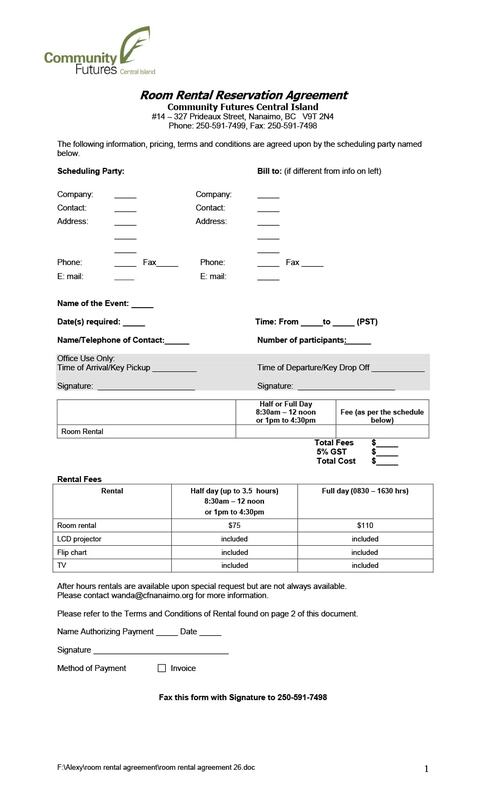 It should be clear in the room rental agreement which repairs and maintenance measures should be paid for by the landlord and which should be shouldered by the tenant. The distinctions should be clear – from simple upkeep and minor repairs to bigger, more expensive fixes. Payments for utilities are usually shouldered by the tenants while taxes and land fees which need to be paid each year should be shouldered by the homeowner. For Both Parties to Have Peace of Mind in the Whole Renting Process. 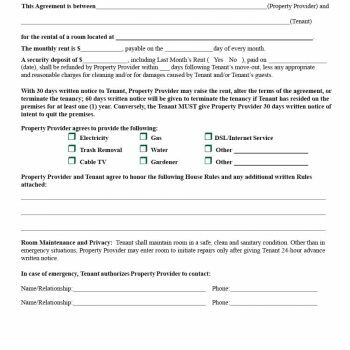 Tenants have rights to privacy, which are stated in the room rental agreement. Without it, owners might just be able to waltz in the home at inopportune times, invading the privacy of the tenant/s. 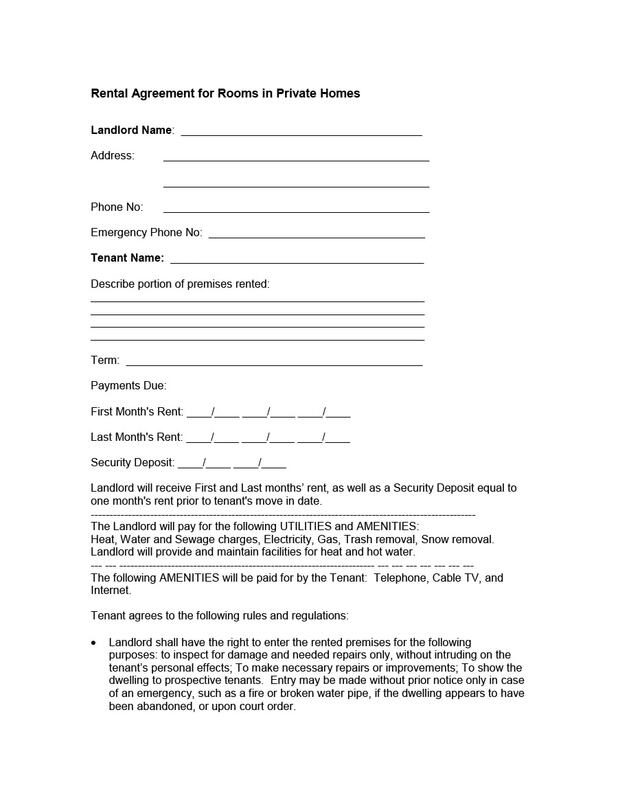 Signing a room rental agreement will allow both parties to be clear on the rules of the tenancy. This would also ensure that both parties follow the rules, allowing the tenants to enjoy their renting experience and the owners to feel secure, knowing that their rooms are cared for properly. 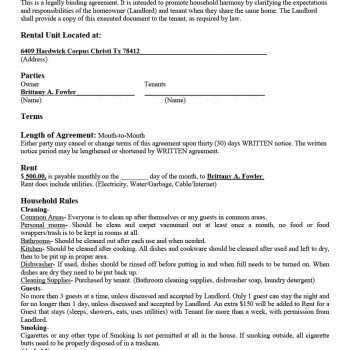 To Allow the Landlords to Make Proper Inspections at Agreed Upon Times. 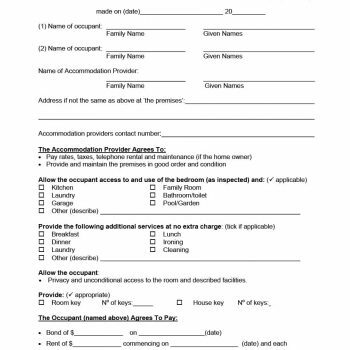 The room rental agreement should also state when the owner is to come by to make an inspection of the room and the house. Usually, the owner should give the tenant at least 48 hours notice before making an inspection. To Set Up Terms of Rent Increases. Rent increments are usually made in line with the inflation rates of the country. Unless otherwise stated and agreed upon in the room rental agreement, this should be strictly followed. 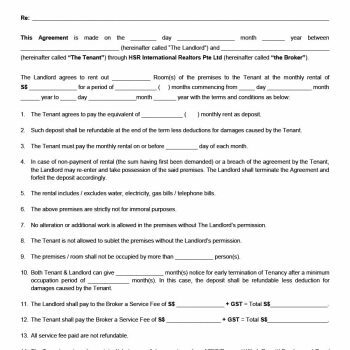 To Make Clear the Termination of the Tenancy. 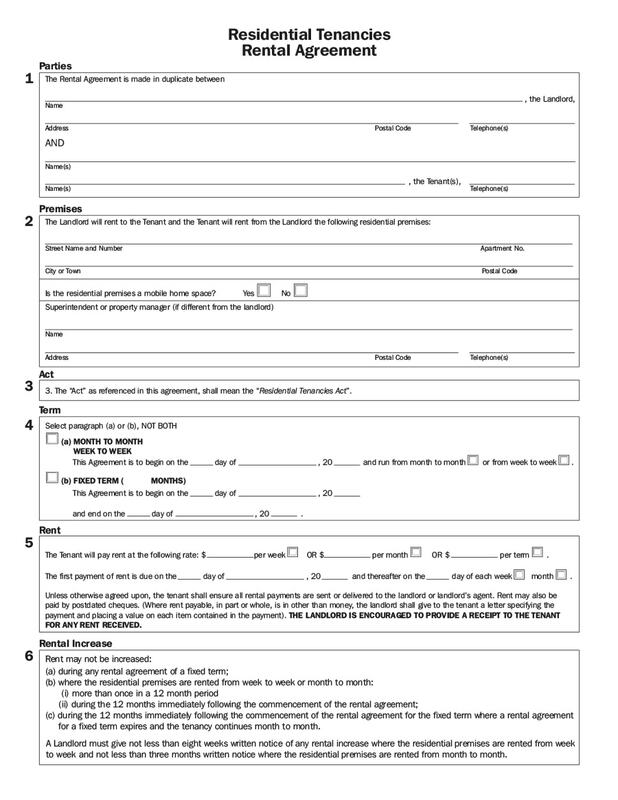 Not only to establish when the tenancy starts, but to clarify when the tenancy will be terminated as well. 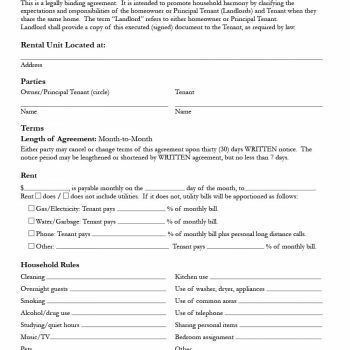 In the case of the tenant not making their payment on time, the owner has the right to terminate the tenancy, but notice (of usually two weeks) should be given to the tenant first. Who Will Most Likely Be Renting Your Room? Nowadays, it is getting more and more expensive to own a home. This is why people are beginning to opt to rent rather than purchase. There are different types of people who are most likely to rent a room and it is important for you to get to know your tenants. 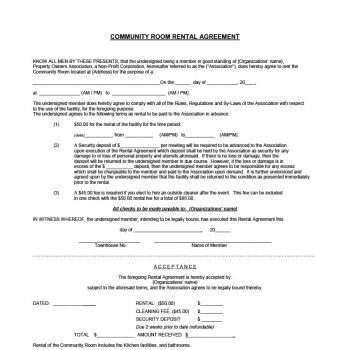 While discussing the room rental agreement, you can use that time as well to get to know the people who plan to rent your room so you can have enough information as well as peace of mind, in knowing at least the basics in the people you’re entrusting your room to. Individuals: students, young professionals or people who have business in the area but already have their own home in another place. Families: small families who are starting out may rent a room while waiting for their more permanent residence to be ready. 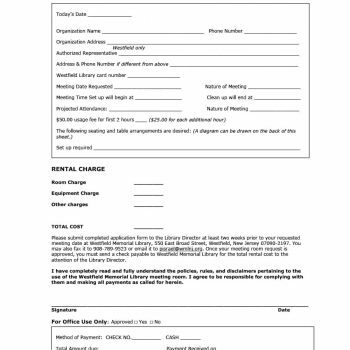 It would be very advantageous for you to know how to make a simple room rental agreement before renting out a room or rooms in your home. 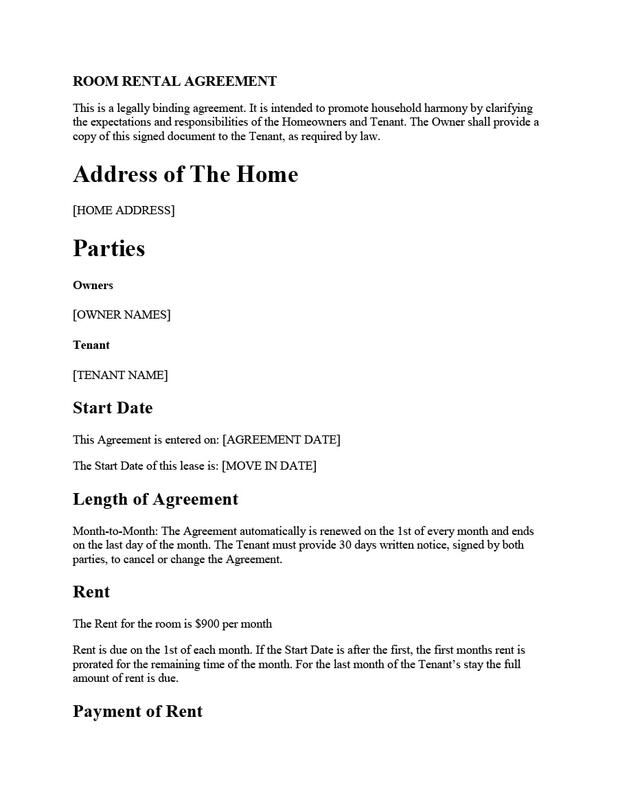 Creating a room rental agreement template is easy enough, as long as you know the most basic and most important terms which should be incorporated in it. The Name/s of All the Tenants Who Will be Renting the Room. 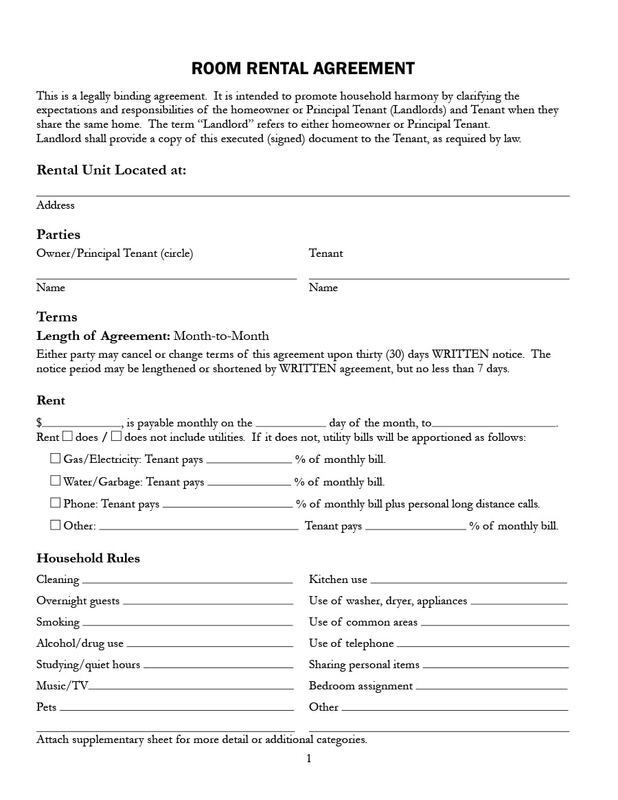 All adults involved in the tenancy should be specified in the agreement. 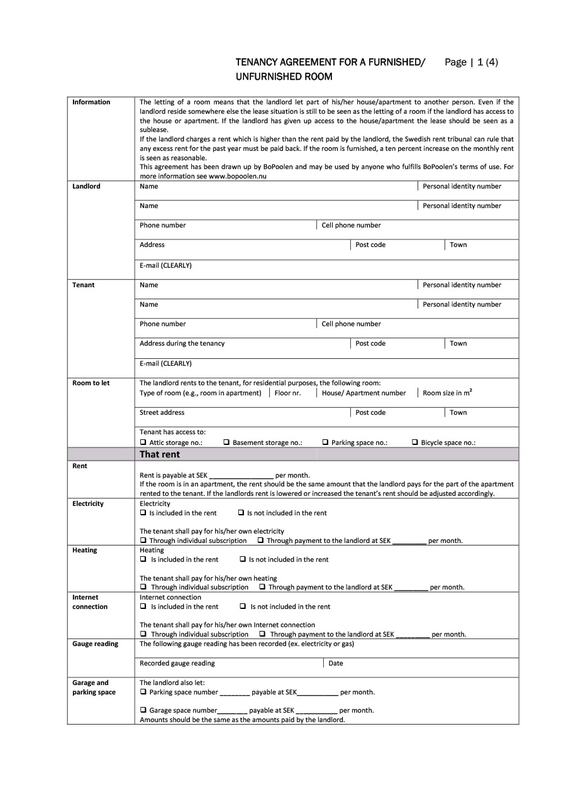 In the case of a family, not only the head of the family should be written down but all the other adult members as well. 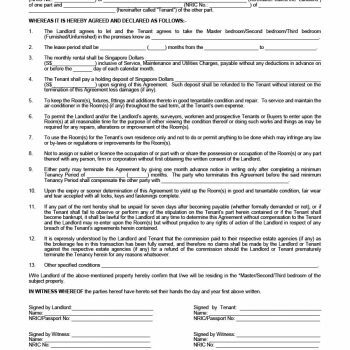 This makes all the tenants aware of the agreement, therefore making them responsible for following all the rules of renting as well. 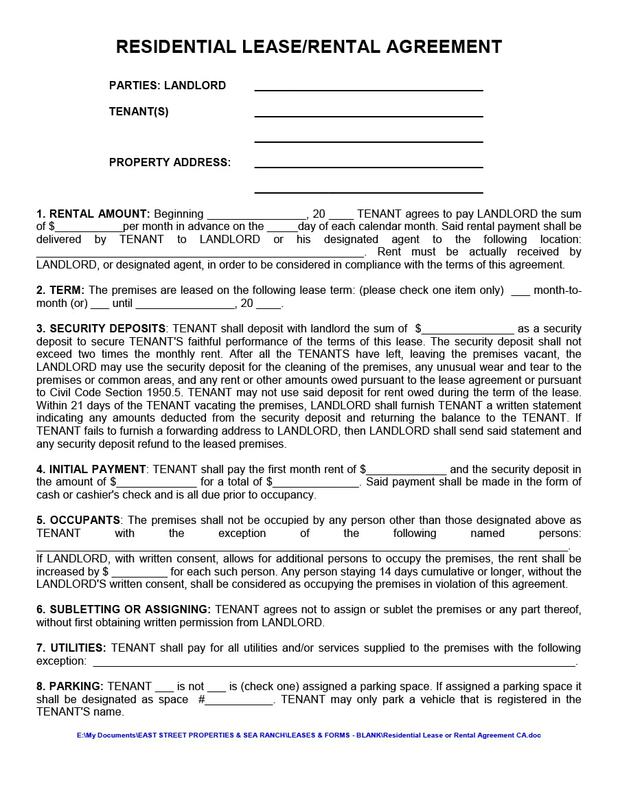 This also means that the owner is legally allowed to ask for the rental fees from each of the tenants, in case one or more of them leave or are incapable of making the payments. 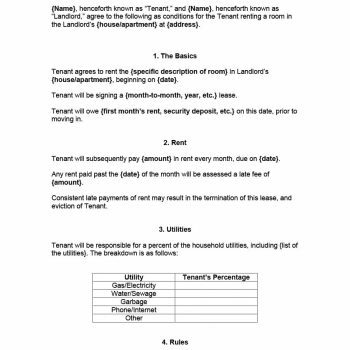 Limitations of the Tenancy. 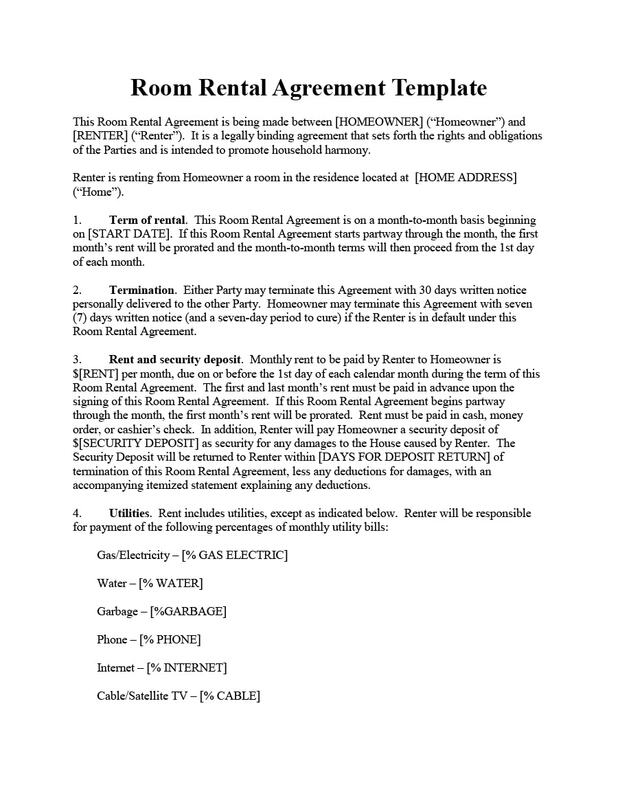 The agreement should establish that the room should only be occupied by the tenants whose names appear on it. This would ensure that only those people are allowed to live in the property. 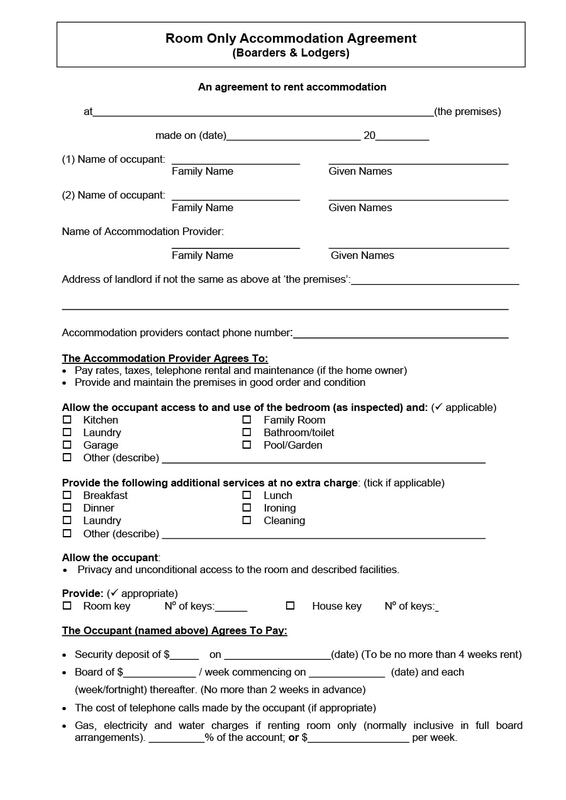 This gives the owner the right to evict any tenant who violates the rules of occupancy, allowing a friend or relative to reside in the room as well without permission. 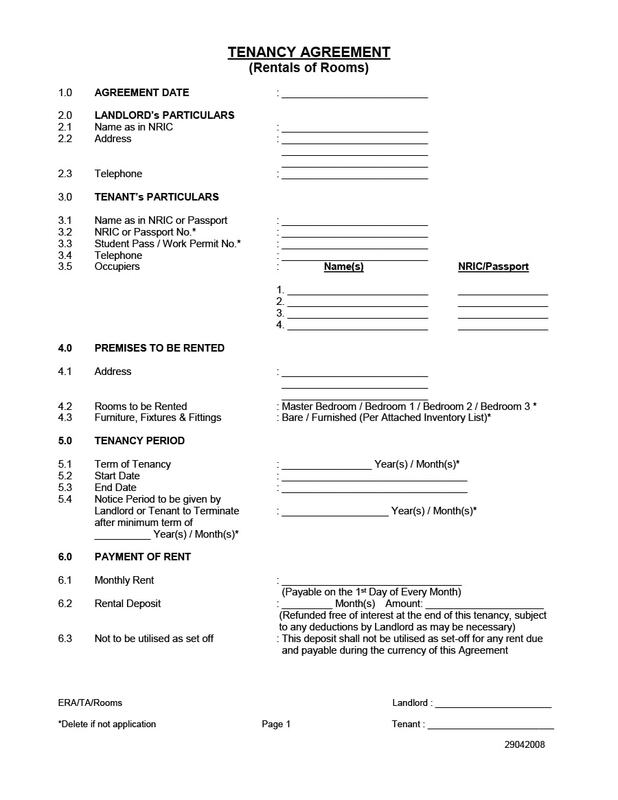 Terms of the Occupancy. 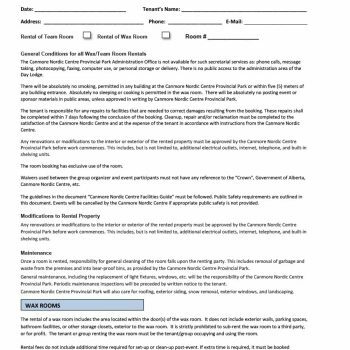 The room rental agreement should specify the terms of the tenancy, whether it’s a fixed-term rental or a simpler rental agreement. 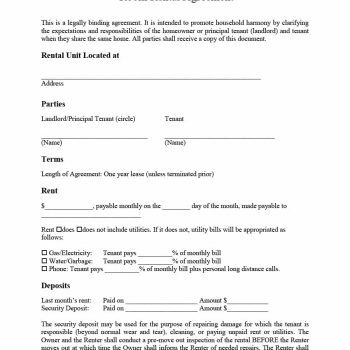 Rental agreements mean the duration can vary from months or years, depending on what tenant and owner consent upon. 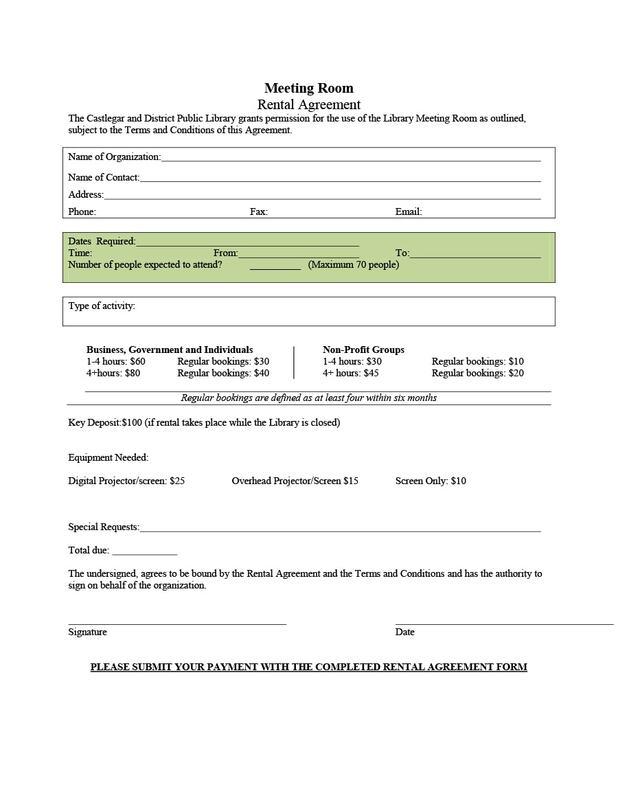 The flexibility of these terms should be clear in the agreement, and should be clear to both parties. 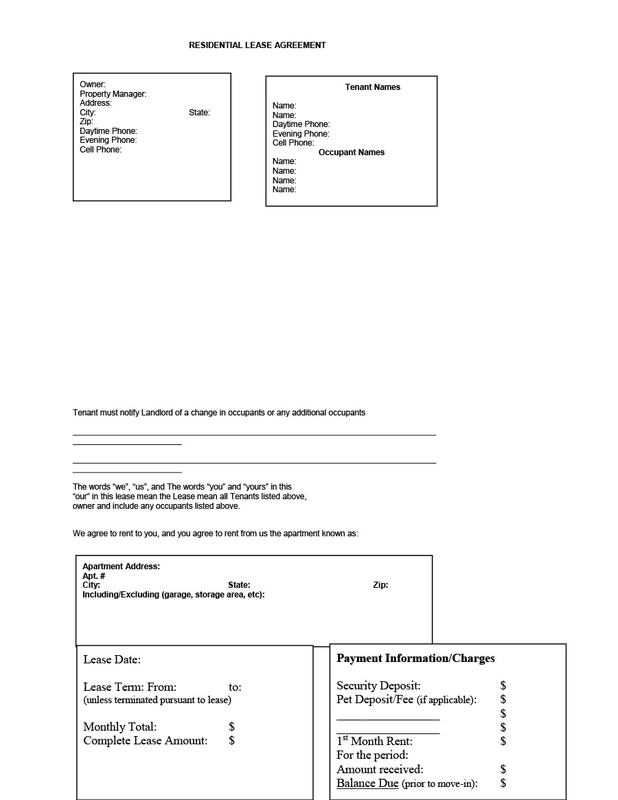 Rental Fees. 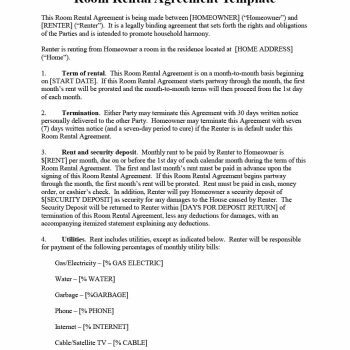 The room rental agreement should indicate the amount of the rent, when the rent should be paid and how it should be paid. Payment methods are important for the tenant to know as well as the penalties which are imposed if the tenant is late in making payments or if the tenant pays using a check and it bounces. 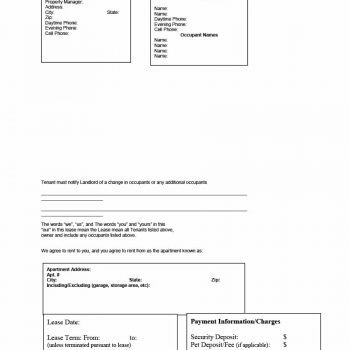 Security Deposits and Other Fees. 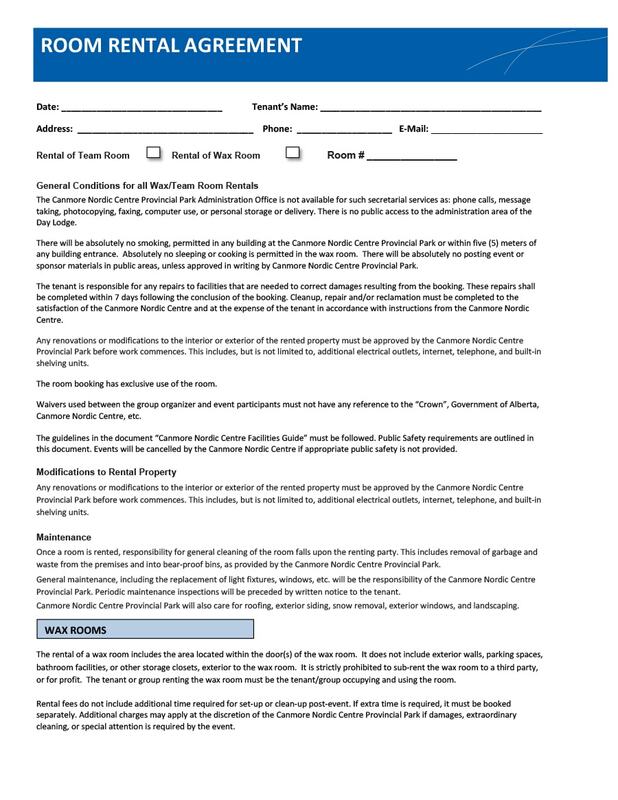 The amount of the security deposit as well as how it will be used and when it will be returned should also be included in your room rental agreement. 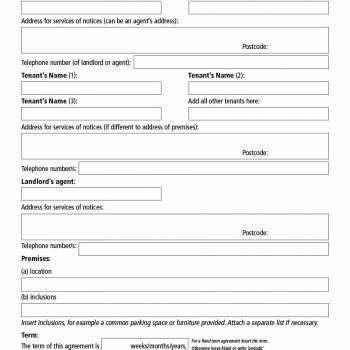 The specific details of where and when the security deposits will be used must be clear to avoid confusion and any legal issues when the tenancy is terminated. Arrangement on Maintenance and Repairs. 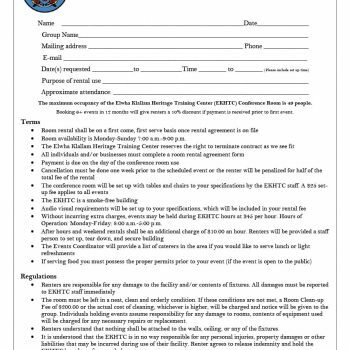 To protect the owner’s property, the room rental agreement should clearly indicate the responsibilities of the tenant in terms of repairs and maintenance. 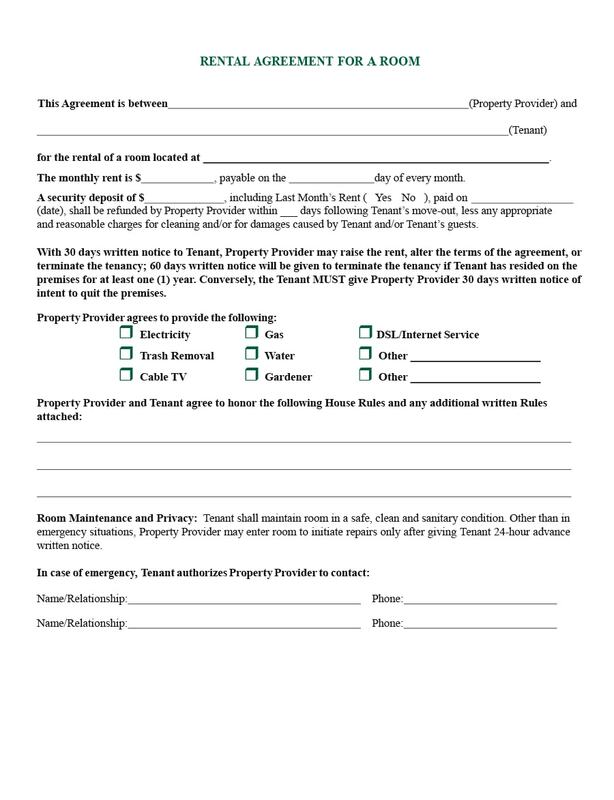 The tenant should maintain the room in good, clean condition and inform the owner immediately of any damages. Any additions to the room should also be discussed by the owner and tenant before they are installed. Owner’s Entry to the Property. At some point, the landlord would have to enter the room in order to make sure that everything is in order. 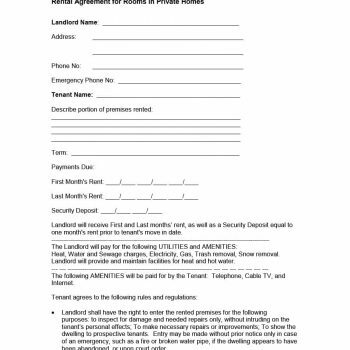 To avoid any issues regarding the tenant’s privacy, the terms of the owner’s entry to the room or property in order to make an inspection should also be stated in the agreement. 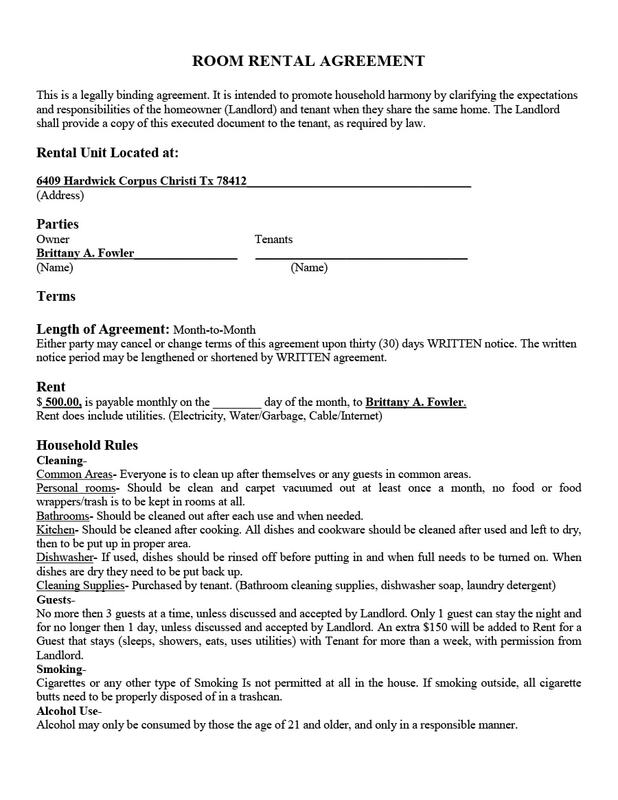 Restrictions on Illegal Actions Made by the Tenants. To ensure the security of the room, avoid any unnecessary damages and prevent any legal disputes arising from illegal actions done by your tenants. You should be clear on any and all restrictions which should be avoided during the tenancy. 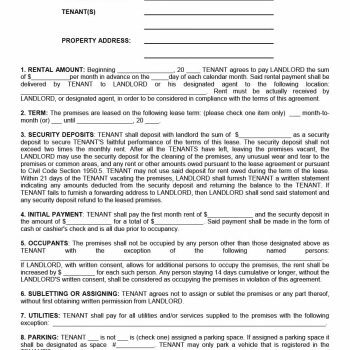 Clear statements regarding how illegal activities are not allowed should also be written down in your room rental agreement. Rules on Pets. 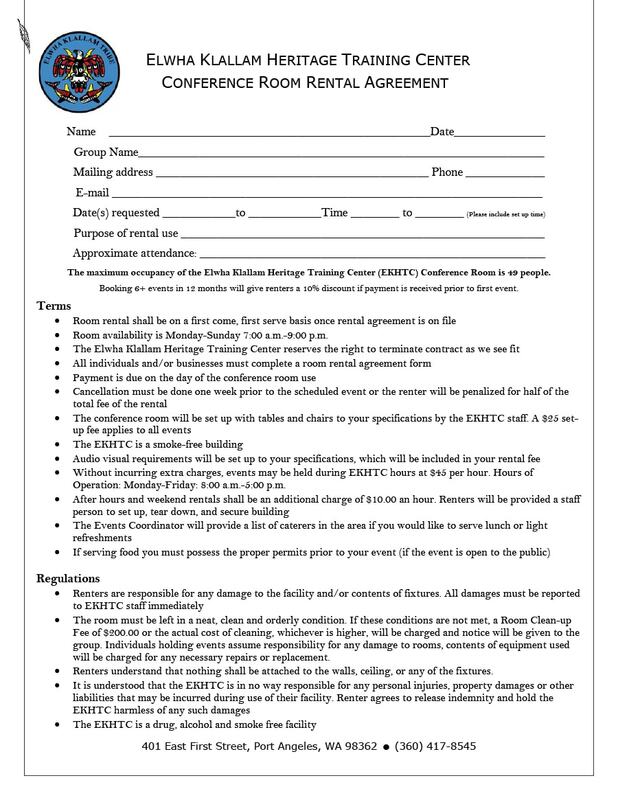 Make sure to include whether you allow pets in the room you are renting in your agreement. Allowing pets would call for another set of rules and restrictions which should be made clear to your tenant. Other Limitations. 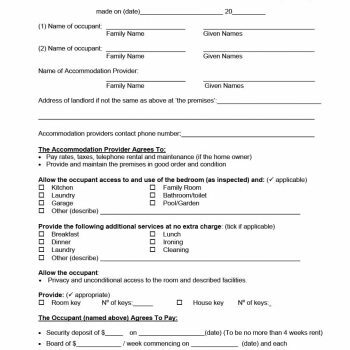 Your room rental agreement template should also have the necessary laws such as rent control regulations, safety and health policies and tenancy and antidiscrimination rules and laws. It would be wise to seek legal advice in adding in these limitations so as not to overlook anything important. 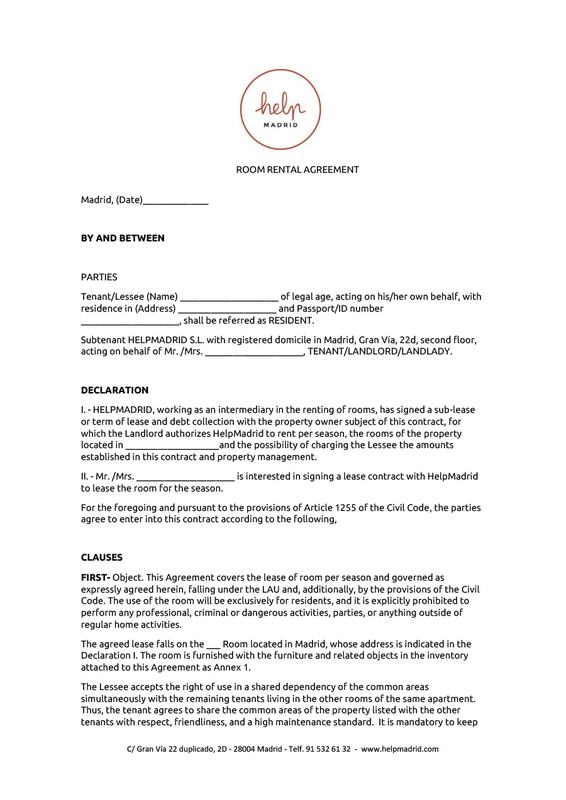 Aside from the important terms which must be included in your room rental agreement template, there are also a few helpful information which you can add on to make your agreement clearer and more specific. 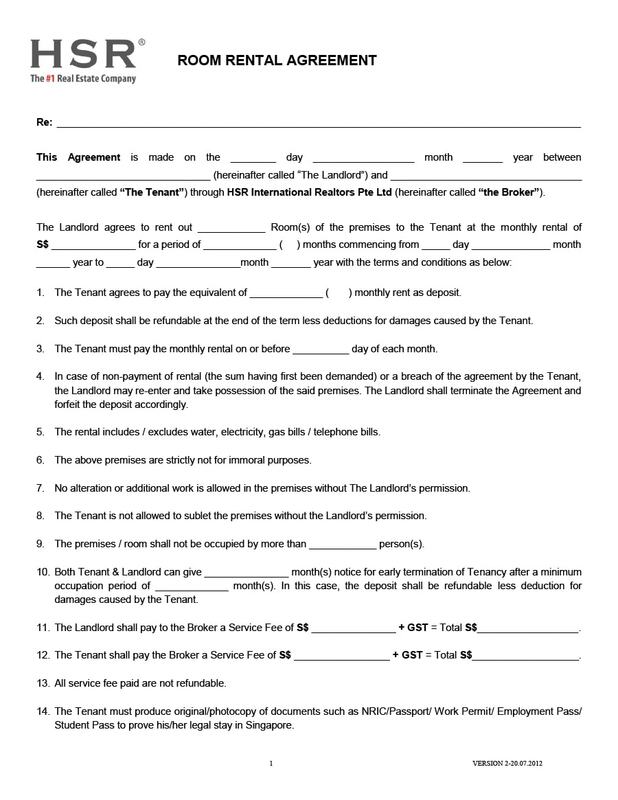 Renewal of the Tenancy. 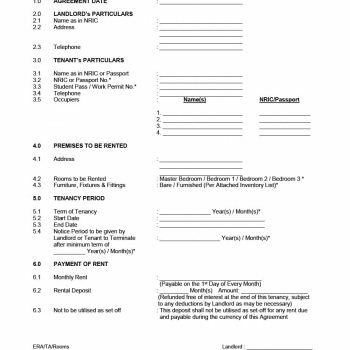 As long as the tenant had followed the rules and complied with everything written on the agreement, you could also place a statement in your room rental agreement allowing the tenant to renew the lease at the end of the period of the tenancy if he or she wishes. 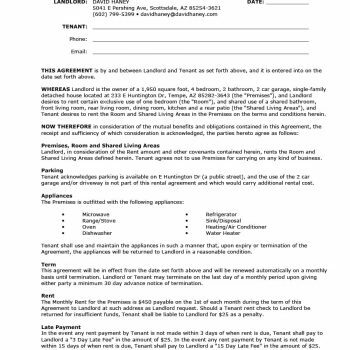 Whether or Not the Tenant is Allowed to Sublet the Room. 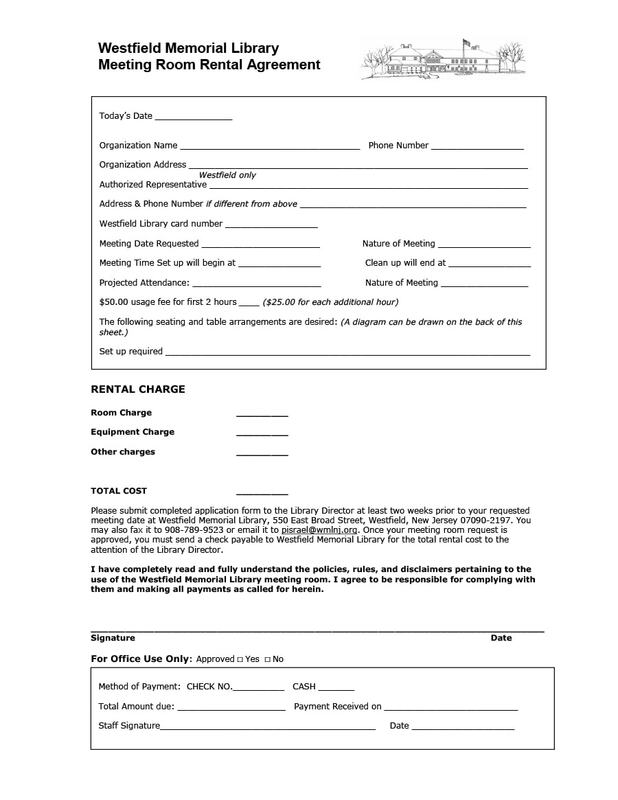 You can specify whether you will allow your tenant to sublet the room or not. 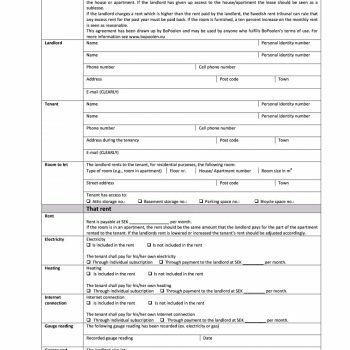 If you will, you should also put in rules for subletting to make thing clearer for all parties concerned. The Use of Parking Space. If your tenant/s have a car, you can also establish where the tenant is to park his or her vehicle and whether there is an additional fee to be paid for it. Other Rules Specific to the Room. You may have other specific rules for your tenant which need to be followed to ensure the safety and pristine condition of your room. 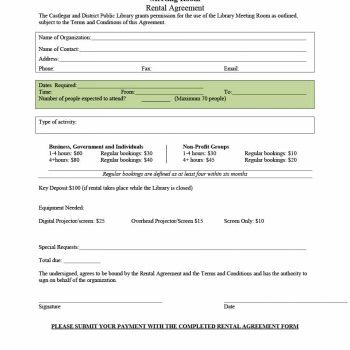 It would be helpful to include these rules to strengthen your agreement and not have any regrets after. 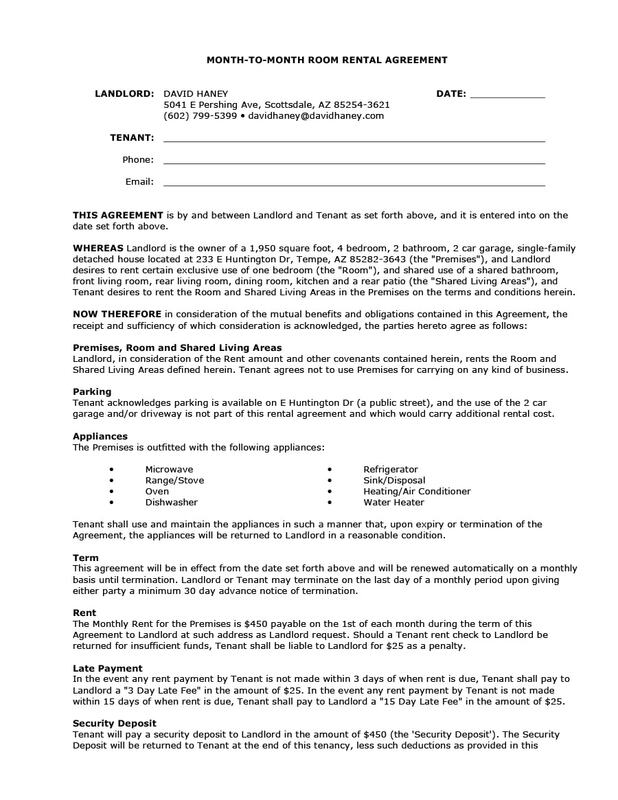 Allowing the Personal Possessions of the Tenant in the Room. 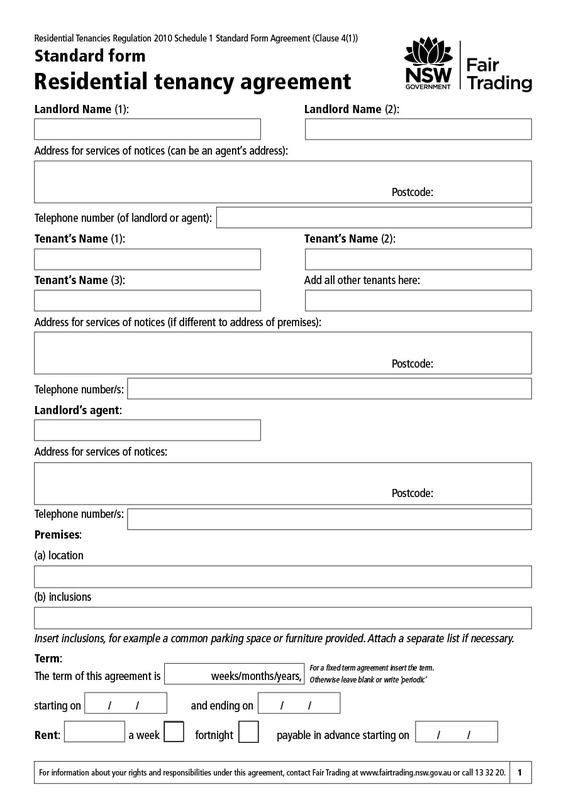 The tenant may already have his or her own things which he or she would like to bring into the room. Items such as a waterbed might not be ideal unless the tenant would be willing to take responsibility for its maintenance and would be willing to pay an additional security deposit fee for it. 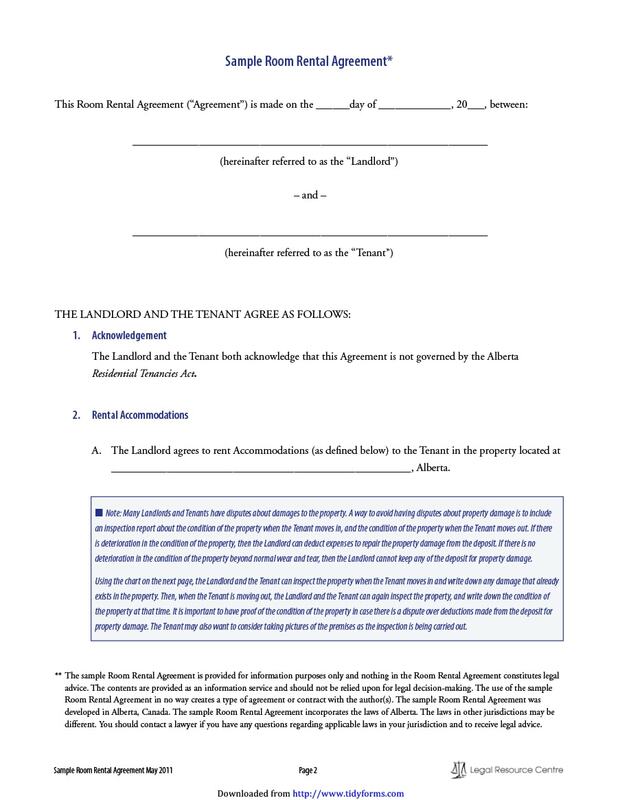 Having and discussing a room rental agreement is essential before actually starting a tenancy. 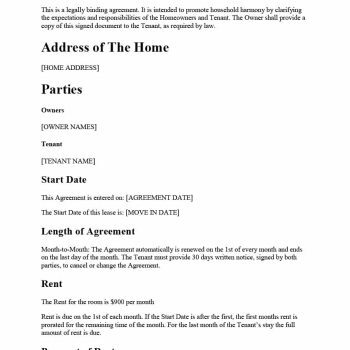 Knowing the importance of having one as well as what should be written in the agreement are helpful in terms of creating the perfect room rental agreement template. 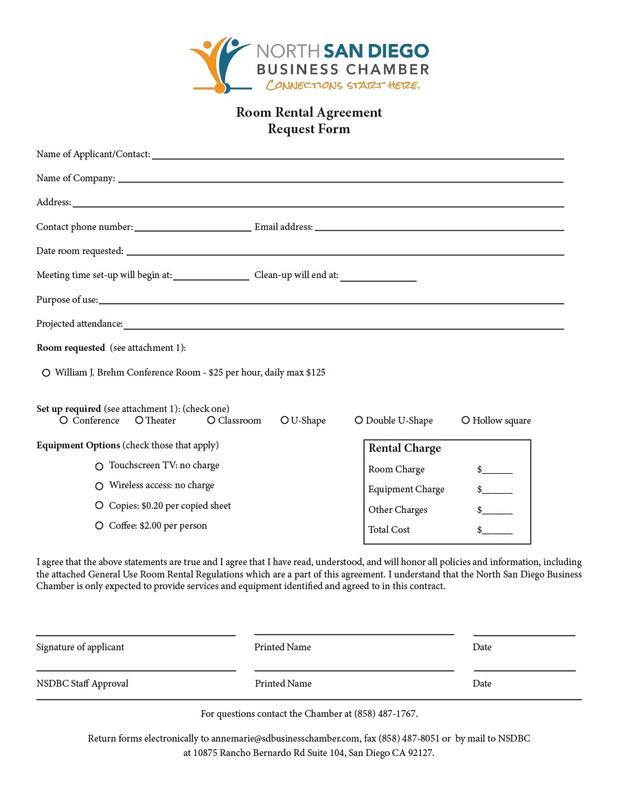 Aside from that, it would also be very helpful to be informed of the potential issues you might encounter – as an owner or as a tenant – if you do not have a room rental agreement. You won’t be able to receive the rental fees on time and you won’t be able to charge your tenants with penalties if they are not aware of the rules of paying the rent. 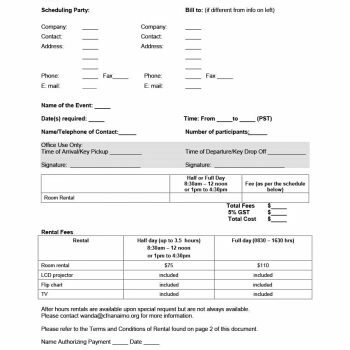 You may end up with unpaid utility bills if you don’t clarify with your tenant/s that they have to make such payments. 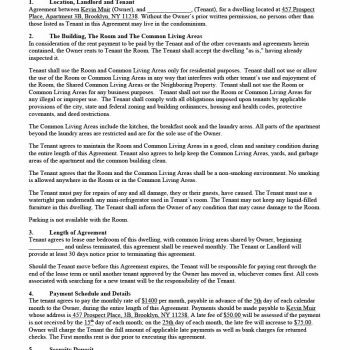 There may be damages in your room which the tenant would not be willing to pay for, especially if you haven’t discussed the terms of your agreement. You won’t be able to feel secure and safe, knowing that your tenant/s are not aware of the responsibilities they should have while renting the room. Your tenants might start performing illegal activities in the room if you hadn’t established clear and precise rules to follow. 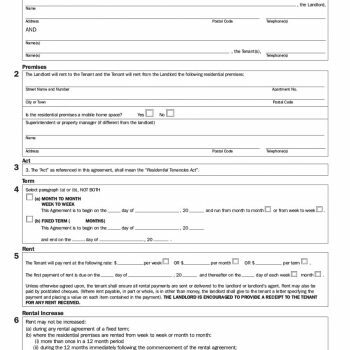 You might also end up paying lawyers to deal with any legal issues regarding transactions or the whole tenancy process if you don’t have supporting documents, such as a room rental agreement. You might end up regretting your decision of renting a room if your landlord ends up being a shady or daunting person. 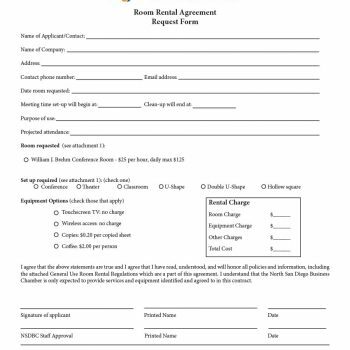 Discussing the room rental agreement with the owner of the room would give you a chance to get to know the person you would be dealing with. You might end up with penalties you don’t even know about if you don’t learn all the fees you need to pay, when you need to pay them and how you would need to make your payments. 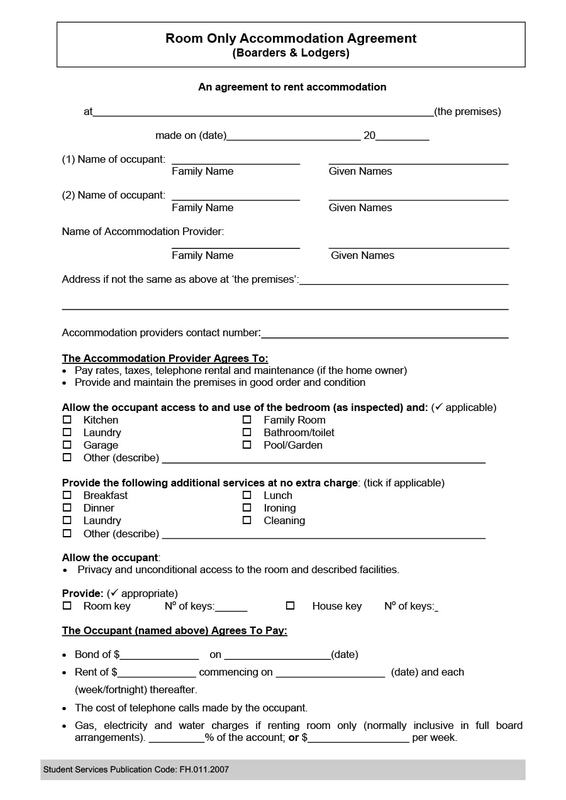 You might end up with a bad credit score if you come to disagreements with the owner of the room if you don’t have an established room rental agreement. Without knowing everything included in the room, you might end up having problems with the upkeep and with repairing any damaged items in the room. 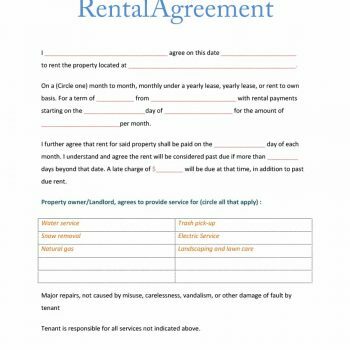 It is absolutely essential to discuss and sign a room rental agreement for both owners and tenants to avoid running into problems which may arise in the course of the whole renting process.